Holly Hobbie vintage lunch box. 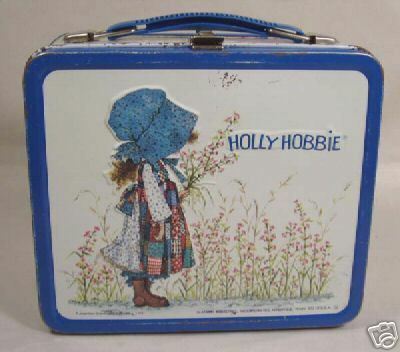 1972 metal Holly Hobbie lunchbox by Aladdin.. Wallpaper and background images in the Lunch Boxes club tagged: holly hobbie vintage lunchbox lunch boxes photo. I loved Holly Hobbie things so much when I was younger! Pleasant memories from this one!